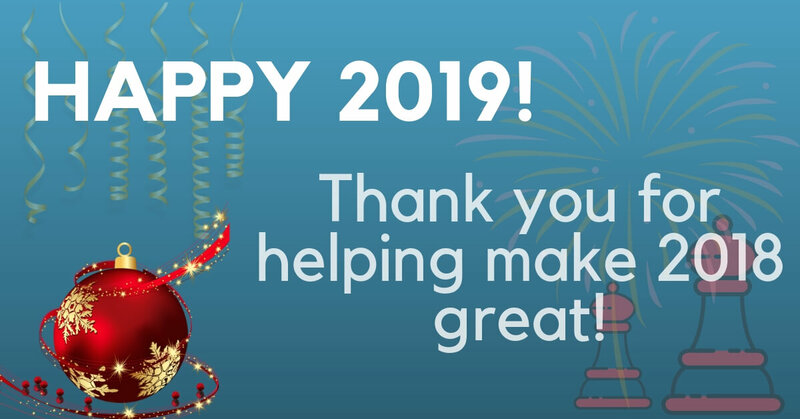 Thank you for helping make 2018 great! 2018 was a turning point for TheChessWorld.com! We worked really hard to make sure you get the highest quality chess content on daily basis. We added over 200 new articles into the chess library which now consists of over 1000 items, covering everything chess from A to Z. 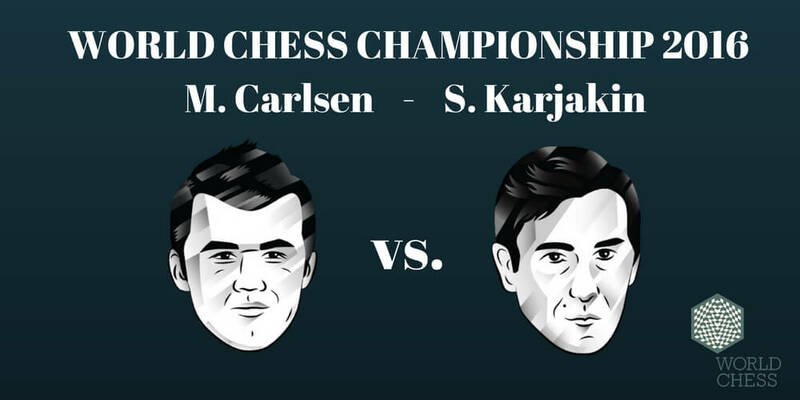 The World Chess Championship match consists of 12 games with a classical time control: 120 minutes for 40 moves, then 60 minutes for 20 moves, and then 15 minutes plus 30 second per move until the end of the game. If the match is tied, a tie-break will be played. – FIDE. As promised today we are announcing the release date for the second part of our training program 21 Day to Supercharge Your Chess. Here it is. The program will be available for you on Thursday March 5th, 2015 at 8 am EST. 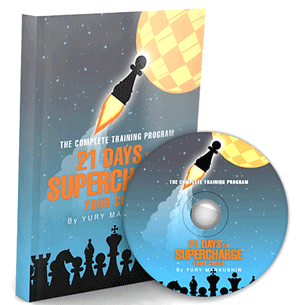 Our original program 21 Days to Supercharge Your Chess was a huge success. After the launch in September 2014, hundreds of players from all over the world have completed the course, improving their game. Happy New Year 2015 from TheChessWorld.com! 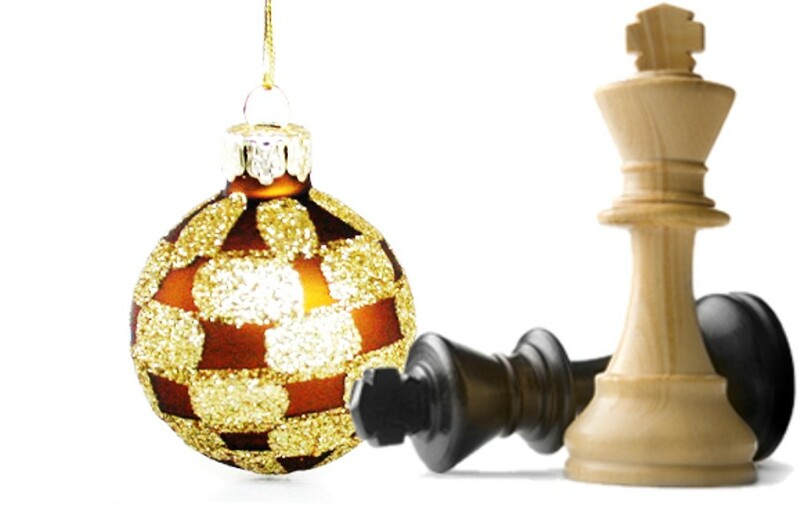 the 2014 is almost over and it was a great year for chess and for TheChessWorld.com. I wish you all Happy Holidays and a very successful New Year! Please check your email to confirm that you’re serious about improving your chess and you’d like to receive emails from TheChessWorld.com. if you signed up, you must be serious about improving your chess. I’m not going to bore you here with statistics, history and long introductions. I know your time is valuable, so let’s jump right into the improvement process. What exactly do you need to do in order to improve your chess? I believe in systematic approach, meaning that before you start training you should have a step-by-step plan of actions. Let’s go over each of the categories one by one, since they all are very important. No surprises here. Tactics is the most important element of chess. If you know nothing about chess but tactics, you most likely will end up winning all your games. That’s what computers do and as you probably know they are good…extremely good. What will tactics do for your chess? There is no magic pill that you can take and become a great tactician overnight (unfortunately). What you can do is to solve tactics problems on daily basis. If you do nothing else for you chess training but solve tactics you will improve and win games. There are many tactics problems sources available nowadays, but we simplified your job. Here is a downloadable pdf of 2100+ tactics problems. That should be plenty to start with and by the time you solve the first couple of dozens, you will definitely feel a big tactical improvement. Have you ever found yourself in a position when you think, you should win this endgame but don’t know how, even though it looks so simple? Many players did. In fact they failed to win these dead won endgames and end up with a draw or even a “0” right next to their name. It feels very disappointing to draw one of these “almost won” endgames. It feels even worse to lose one. Theoretical Endgames – are those, where the outcome of the game is commonly known, with a correct play of course. These are well studied positions and the solution is entirely technical. Practical Endgames – positions which appear in real games. These usually have more pawns and pieces than theoretical ones, and can only be solved by applying basic endgame knowledge. The goal is to transpose these, into the first type – theoretical. You don’t need to be a genius to figure out that to win endgames you need to memorize more theoretical endings. In fact it is not very hard and time consuming to learn 25-30 theoretical positions. You should only study positions which are very common and have high probability of occurrence in game. The first type of endgames you need to consider is the ‘King vs. King’ endgames. There are many variations possible, but the most fundamental ones are the endings with one or multiple pawns and no pieces. You study this article, it talks in detail about different types of position you should know how to play. Another important endgame to know is the Knight endgame. 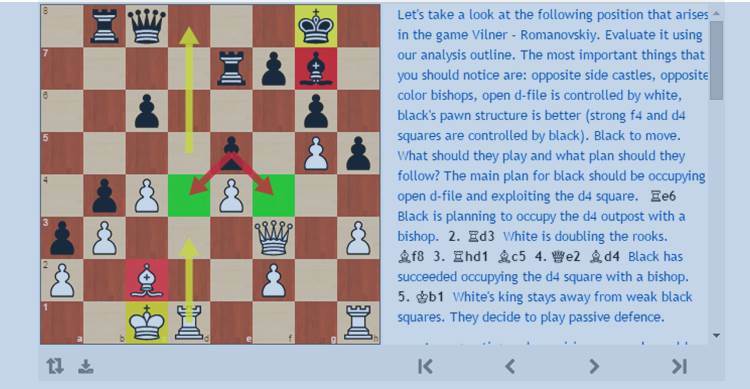 It is recommended to study positions of Knight + Pawn vs. Knight with different positioning of pieces. In Bishop endings it is definitely important to study same color endgames Bishop vs. Bishop + Pawn, as well as the opposite color Bishop vs. Bishop +2 Pawns. You will also need to study Queen and Rook endgames. Especially common are: Queen vs. Queen + Pawn and 2 Rooks vs. Knight and 2 Rooks vs. Bishop. For the sake of time I will combine these two categories into one. Checkmate is the final goal of chess. It does not matter how much you’re down in material or how short on time. Once the checkmate is delivered the game is over. Therefore, it makes a lot of sense to work on the attacking chess, and primarily on the attack on the king. Many players like to play aggressively and to attack their opponent, but they rarely work on their attacking skills. How to work on the attack on the king? 2. Sharpen your tactical skills and calculating skills. These are crucial instruments of an attacking player. The more you work on these, the more success you will have as an attacking player. A game analysis is a powerful tool, or better say a powerful technique, which can aid you in curing your weaknesses and developing strengths, if used right. Game is over. Maybe you have won; maybe it was a draw or maybe a painful defeat. Regardless of the result and feelings it is necessary to act like a professional chess player when approaching analysis in order to get a maximum gain from the game. You need to write down quick notes about the game as soon as possible after the game’s done, when it’s still fresh in your memory. Especially, concentrate on moves when you had to make a hard choice and moves when the game dramatically changes its state (positional to tactical, etc). It is a good idea to separate a game into 3 parts: opening, middle game and endgame. These 3 stages of the game require individual analysis and must be treated separately. When analyzing an opening you need to say, was that line you played a home preparation, or maybe you were tricked out of your opening book by an opponent who played unusual variation or maybe something in between. Write down your thoughts on the line you played. Was that line sound? Only after you write down your thoughts you should refer to the opening database to check the existence of this line in theory. You may be disappointed to find out that line you opponent played wasn’t any good, but you still couldn’t get a win. It is a very important thing to take notice of. It means you have gained something from the game. You need to study a couple of annotated games on this opening variation played by a high rated players and make appropriate adjustments in your opening repertoire. Next time you face this line you will be better prepared! You may want to check out how to build an opening repertoire from one of my previous articles. That’s a stage of the game that comes right after you run out of “theoretical” opening moves. Write down why you have decided to play one or another move, you may also indicate the alternative moves you have considered and you reasoning behind it (for example, I was thinking about playing Bd7 but was afraid of e5 with a strong initiative). Indicate tactical ideas that you saw, including possible sacrifices you were considering. It is important to formulate the plan of the game. For example it may be a minority attack, a queen’s side pawn attack on the opponent’s king, pressure on isolated pawn or something else. Remember the Botvinnik’s saying “bad plan is better than no plan at all”. In endgame you should take notice of the initial position and try to come up with a winning plan or a drawing plan if your position is worse. If you get into time trouble often you may want to analyze what type of decisions took you longer, and where exactly have you burned most of your time. You need to have time recorded on your score sheet in order to do time analyzes. Avoiding time trouble is a crucial part of the game of chess. The last step is to practice, practice and practice. Play more games, don’t worry too much about the result and try to use your new knowledge to win. Did you know that there are just 3 main problems that prevent as many as 95% of chess players from playing at their full potential? That’s where our program 21 DAYS TO SUPERCHARGE YOUR CHESS comes into play. It is aimed to solve these and many more problems that ordinary chess players face during their improvement journey. You will learn What and How to study in order to maximize your results. You will be given an easy-to-follow, discrete, and well tested analysis plan that can be applied to any type of chess position. You will learn a number one mistake 95% of chess players make while studying opening that leads to stagnation… and much more!